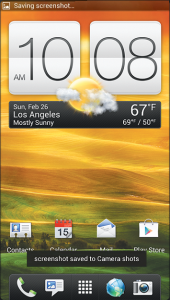 Check out this simple tutorial on how to take screenshots on your HTC EVO 4G LTE. Capture the screen shot free – No root access or app required! 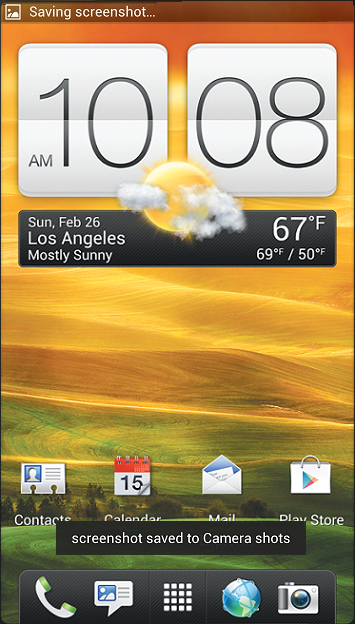 HTC was kind enough to provide the ability to capture a screenshot easily without any third-party software! You heard correctly… no root or third-party paid app required. This method is totally free and simple! This is now a stock feature on all Android 4 ICS (Ice Cream Sandwich) devices. There are actually two different screenshot methods available for the EVO 4G LTE. Just follow the steps below to start taking screen shots! Why would you need to capture screenshots on your device? So that you can share what is on your screen with your friends! Get a high score on a game? Take a screenshot and send it to friends via email or Facebook! Want to share a funny text that someone sent you? There are so many reasons! 2. That’s it! Seriously, it’s that easy! You’ll see a message appear on the screen that says “screenshot saved to Camera shots”. Your screenshot will be in your DCIM (Camera) directory. You can then go to your Gallery app to see the screenshots that you have captured. 2. That’s it for this method too! You’ll see a message appear on the screen that says “screenshot saved to Camera shots”. With this method, your screenshot will appear in the directory /Pictures/Screenshots. You can also go to your Gallery app to see the screenshots that you have captured. Both of these methods require some practice on the timing of the button presses. If you don’t press home on the first method within two seconds the power menu will pop up. And if you release the power or volume button on the second method before the screenshot is taken you’ll either lock the phone or turn the volume down. You just need to practice these button combos a few times to get them right. Nothing bad happens if you press these buttons… So don’t give up! I have the EVO 4G LTE but cannot seem to make this work. You mentioned Android 4 ICS…I guess my question is how do I know what version I have? I clearly know nothing about phones so I might be asking the wrong question, but any guidance you can provide would be greatly appreciated. Hi Amanda, if you just recently purchased the EVO 4G LTE then you should have Android 4. The EVO 4G LTE is a brand new device and it comes with the ICS version by default. What happens when you try the methods above? Have you tried both? I had accidentally taken a picture of my screen this way before, but didn’t know how I did it. I tried it again and it worked on the first try. Thank you, that was great info. Works great for gps! Take a screen shot of the directions and it saves it in your photos that way you don’t have to keep your navigation app open on long trips and waste your battery! All the apps in the market require a rooted phone. I tried this and at first I was skeptical but it works! I’m happy !! Outstanding…….I didn’t think it could be done, but it worked perfectly!!! Thanks. Thanks! 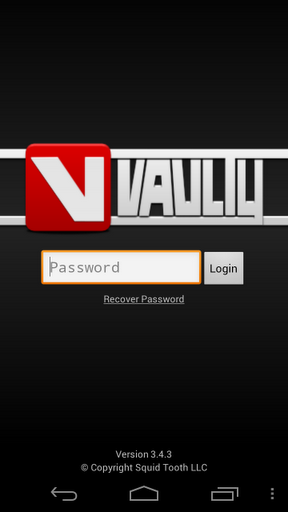 How do I share it (e-mail, Facebook, etc.)? Open your gallery app (the one that you can view your pictures with) and find the photo (see the article to see where it’s stored). Click the picture’s thumbnail to open it and then click it again to bring up the context menu. You can share it from there! Thanks for the info. This helped me learn a new trick with this old phone (Note: The volume down doesn’t work with the Evo Design 4G, only power and home combo works(. Thanks, I have accidentally taken screen shots before and now I know how I was doing this! Thanks.